Kathmandu, Nov 1: The deligation led by Mr. Narayan Kaji Shrestha, Ex-Deputy Prime Minister along with 19 delegates including PATA Nepal Chapter dignitaries Mr. Sunil Sakya (Chairman), Mr. Suman Pandey (Immediate Past Chairman) and Mr. Lila Bhandari (Proxy Member) as well as the local government along with dignitaries of Karnali province took part in the part in the 2018 Guangdong 21st Century Maritime Silk Road Expo held under the theme “Building a New Platform for Openness and Cooperation, Creating New Drivers of Shared Development” in Guangzhou, China from 24th to 26th October 2018. The expo was organized upon the initiative of the People’s Government of Guangzhou Municipality and the People’s Government of Guangdong Province and welcomed more than 1000 delegates from 57 countries. Discussions and symposiums on key projects involving the integration of green finance and cultural industries (such as cultural tourism and creative product design), as well as innovative industries (such as the digital economy, new energy, ecological agriculture, etc. was the main topic of the following expo. PATA Nepal Chapter Chairman, Mr. Sunil Sakya Emphasized the infrastructural investment as the need of the hour for tourism development in Nepal, he invited Chinese investors for the investment in Nepal presenting several opportunities at Public, Public-Private and Private ventures including Airports, airfields, access roads, Cargo terminals, Air Corridors, Highways, Border Connectivity Energy, Duty-Free Markets, Luxury, and Electric Coaches, Cable Cars, Heritage Properties, Museums, Deluxe Hotels, Resorts, Casinos, and Restaurants, Shopping Malls, Cable Cars, Amusement Parks, Public Utilities & Urban Infrastructures, and so on. 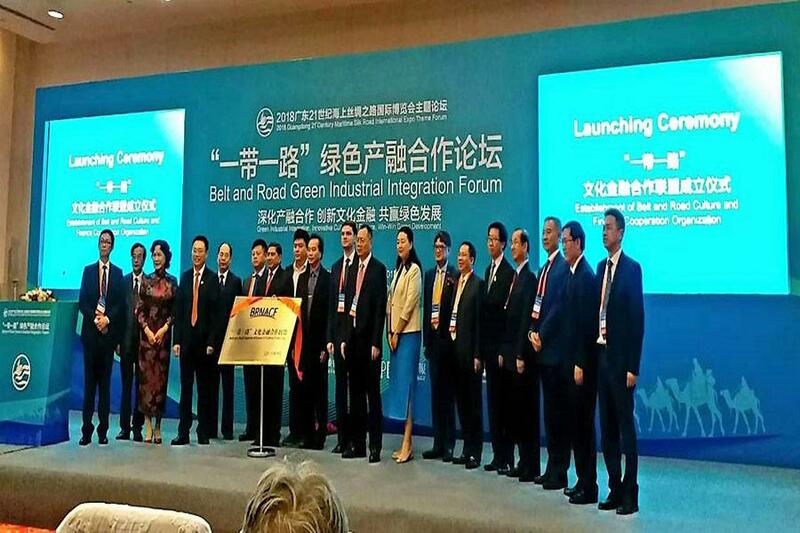 He also delivered a presentation on behalf of Nepal delegation during the Belt and Road Green Industrial Integration Forum. 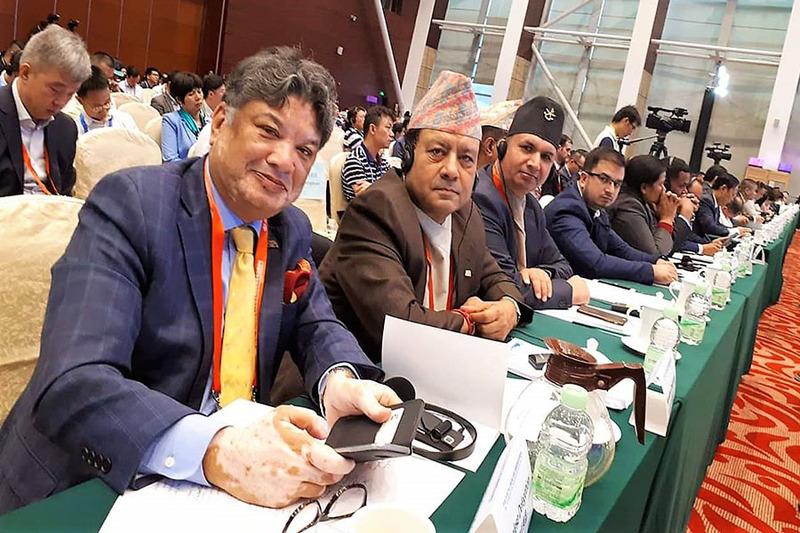 Mr. Sakya put emphasis on the investment opportunities in Nepal, in particular to tourism highlighting the importance of OBOR initiative to capitalize on three prominent sectors for boosting the nation’s economy: Hydropower, tourism, and agriculture. Mr. Shakya also shed light on the OBOR initiative equally important in strengthening the Aviation and increasing the MICE tourism in Nepal. 2018 Guangdong 21st Century Maritime Silk Road Expo (2018 MSR Expo) was organized to implement the Belt and Road Initiative and establish a new international and regional economic cooperation platform featuring openness, innovation, green, inclusiveness and sustainable development, which is jointly built by Guangdong and countries alongside the Maritime Silk Road.